Roger Brown has it all. He's the country's most successful headhunter. He has a beautiful wife and a magnificent house. And to maintain this lifestyle, he's also a highly accomplished art thief. At a gallery opening, his wife introduces him to Clas Greve. Not only is Greve the perfect candidate for a position with one of Roger's high-profile clients, he is also in possession of 'The Calydonian Boar Hunt' by Rubens, one of the most sought-after paintings in the world. A man like Harry had better watch his back...Following the dramatic conclusion of number one best seller The Thirst, Knife sees Harry Hole waking up with a ferocious hangover, his hands and clothes covered in blood. Not only is Harry about to come face to face with an old, deadly foe, but with his darkest personal challenge yet. The thrilling first book in the best-selling Harry Hole series, never before published in English. Whilst the narrator did a splendid job, the story didn't flow well and it didn't hold my interest. fell asleep most nights from boredom. My first Harry Hole . Great narration. That kept me going through a couple of slow bits. I will be reading another Jo Nesbo soon. What would have made The Bat better? 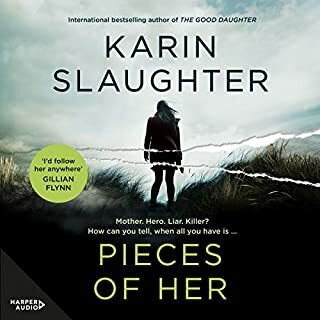 The constant facts about about Sydney and Australia are introduced into the narrative of this thriller in a clumsy way that often come like the crunching of gears. 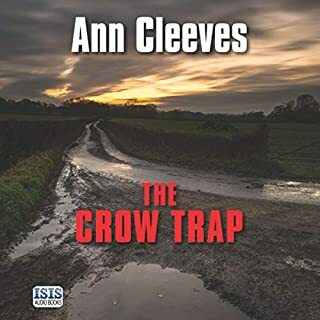 The plot is difficult to follow and the characters do not draw any sympathy out of the discerning listener. What character would you cut from The Bat? 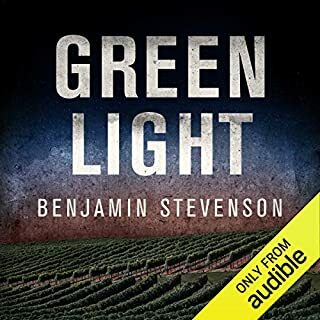 This book made me think how good some narrators are. I am sorry but Sean Barret is not one of them. I could not stand him most of the times. Hated it. I still finished the book and what do I think about the book? Meh! The reader did an amazing job. The story, set in Sydney, was good and well written. But it did stretch credulity in places..especially if you're an Australian. The accents and pronunciation of places was too grating. I got through the book and while I liked the story I wont be listening to others with this narrator. 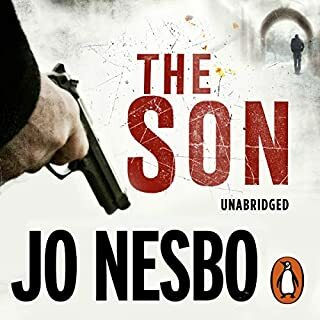 This is the first Jo Nesbo book I have read/listened to and it was great. However I am from Australia and felt the narration could have been better. Throughout the whole book I felt like the Australian people spoke with a South African accent. A little thing I know but it was really annoying 😂 maybe I'll buy the book next time in stead of the audiobook. This is my favorite series in this genre and my favorite book in the series. It answers many mysteries concerning Harry Hole's history while exposing the detctive's peculiar genius. This reader is my favorite, though I liked Robin Sachs. He does a brilliant job with the different voices, especially.a drunk Harry Hole. This is the story of the case that made Harry famous, the Australian serial killer case. because is a fast paced thriller with a myriad of characters that make you hold in a carrousel of ups and downs ,really funny!!!!!!! What made the experience of listening to The Bat the most enjoyable? 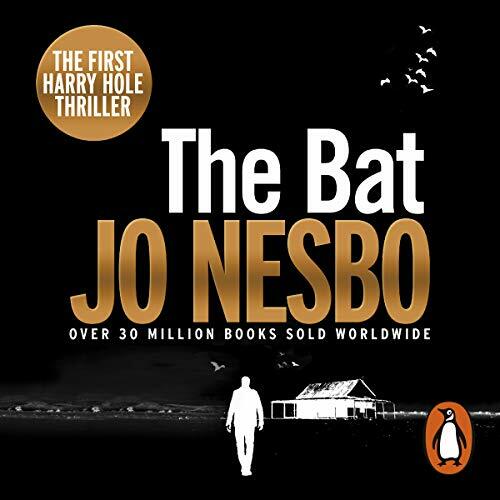 I've devoured all of Jo Nesbo's Harry Hole series so when "The Bat" finally became available I had to buy it. It filled in some holes in Harry's persona. I'm so used to Robin Sachs' narration, this one threw me. Robin Sachs' gives Harry a relaxed and melancholy demeanor and this narrator makes Harry more excitable. I prefer Robin Sachs' portrayal. The later books in the series seem to have greater depth and more surprises. It is clear that Jo Nesbo has grown and evolved in his writing. The continual Aussie folklore really slowed this one down. 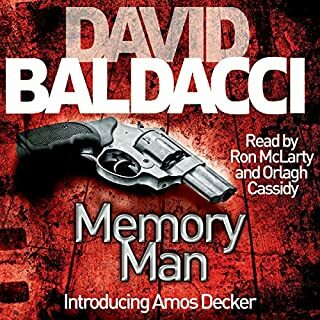 Sure wish Robin Sachs' would have narrated this....but maybe they wanted an Aussie accent to fit the novel's setting. 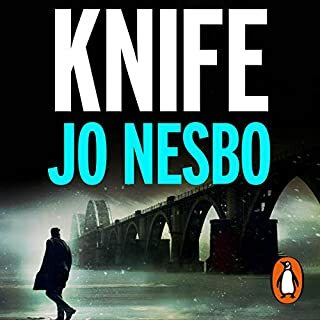 It's bad news for narrator Robin Sachs because Nesbø makes clear in the first couple of pages that Harry's last name is not pronounced like the English "hole" the way Robin did it in several other Harry Hole books. 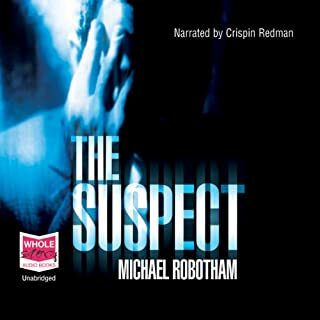 What will Robin do if he's the narrator in a future Harry Hole book? In "The Bat" the Aussies render Harry's name as "holy" which, Harry admits, is better than being called a hairy orifice. I think Thor Knai had it about right in "Nemesis" when he pronounced it "hOO-luh", at least if Google Translate's pronunciation feature is right. Sean Barrett does a nice job, though he doesn't impart much tough-guy to Harry's character. On a scale of Hercule Poirot to Philip Marlowe, this rendition is somewhere in the middle. And Harry surely is a tough guy, wading into fights with bad Aussies in a bar. On examining his broken tooth, Harry asks the guy who broke it "Shouldn't the pulp be red?" Narration aside, it's a great read. I'm really glad this book, the first in the Harry Hole series, got translated. You get a good bit of Harry's back story here, but none of it is necessary to enjoy the other books in the series. Each of Nesbø's Harry Hole novels pretty much stands alone, and you can read them in just about any order. I didn't see the translator's name credited for this book, but whoever (Don Bartlett?) did it it is seamless. When I hear word-play or puns in a translated work, I always wonder how they were rendered in the original? Well, they're funny in English, so I suppose they were in Norwegian too, though maybe different. I believe the second book in the series ("The Cockroach") has been or is being translated. Something to look forward to! Early Nesbo. Good story. Wrong narrator. Okay, this is Nesbo's first Harry Hole book and the story is okay. It definitely gives us a glimpse in to what makes Harry like he is. Sadly, Sean Barrett does NOT do this justice. No, he's not as bad as the guy who does Nemesis, Thor Knai, but he's close. He sounds like he is 95 years old - like Robin Williams playing a very old man. That great, masculine gruff sound that Robin Sachs bring to all the other books is sadly missing. If you can get past that, the book is good. If you could sum up The Bat in three words, what would they be? 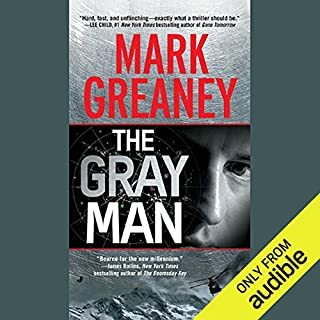 The plot did not keep me on the edge of my seat but did provide a good basis for Jo Nesbo's Harry Hole series each book of which gets better and better. The storyline describing Aborigine culture is very interesting. When Harry bonds with his Australian partner almost at once, I was intrigued by the way Nesbo did this so that I would believe it could happen so fast. Look forward to more in this series. I would highly recommend this fast-paced detective thriller. This is my first experience with Jo Nesbo and the Harry Hole series and what a terrific story. Let me also state emphatically at the outset that Sean Barrett does an incredible job as actor (the word "narrator" is too limiting). 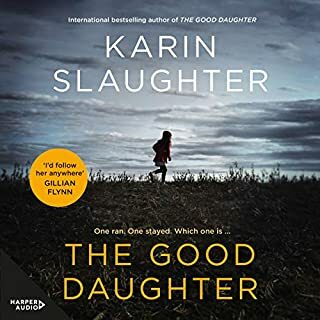 This book has all the essential elements of an exciting novel - strong characters and plot, extremely well-written and, as mentioned above, well-told. Nesbo uses the effective technique of short anecdotes and flash backs to enrich the story and build the characters. There are also, at least in my opinion, many similarities between James Lee Burke's Dave Robicheaux and Nesbo's Harry Hole. One other comment: this book is incredibly funny despite its theme. Finally, I don't see Harry Hole Series #2 on the Audible list. #3 is there and thankfully Sean Barrett is the narrator. This is clearly a must listen. This title came to me by indirect recommendation. Someone I know, who knows that I'd enjoyed the Millennium Trilogy, suggested I read "The Lepoard". I went to download it only to discover it is Book 8 in the Harry Hole (pronounced Who-Lehr) Series. So I went looking for Book 1. And here it is. Then, to top things off, it turns out to be set in Sydney, Australia! Go figure? Surreal. Immediate download required. It starts well, with plenty of detail written in an engaging way. It is not Larsson, so don't come at it with that expectation. However, the research is impressive. Nesbo (pronounced Nes-Bore, or close to that) writes of the indigenous issues that remain a blight on the social and justice systems of my country. He wrote of the Mabo Case that dispelled the legal fiction of terra nullius (that there were no settled people here when the Brit's arrived). These are issues that many Australians don't understand enough. However, like many eastern Europeans, this Scandinavian understands and appreciates the indigenous population of this country better than most Australians. He certainly understands it sufficiently well to write about it with empathy, authority and accuracy. I was impressed by this alone, and I remain impressed. Then the plot explodes. A little murder and a bit of drugs in the sexually ambiguous 'Cross becomes a full scale hunt for a serial killer. 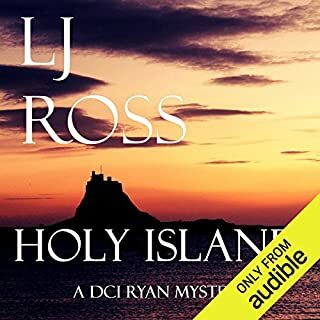 I could say (disingenuously) that I picked it early, but the truth is that I knew (from the blurb) that Harry was looking for a serial killer and I was looking for him or her, too. I thought about the eventual culprit, but I dismissed it (because I was cleverly distracted by the narrative). When the perp' is announced, I wasn't surprised, but that didn't diminish the enjoyment of the book. It just made me want to read the next one! (By the way, the next one, The Cockroaches, has yet to be translated into English and is not available in audio at the time of writing). Sean Barrett's narrative and characterisation are very good. He gets the Oz accent right, fortunately (because nothing annoys me more in audio than a parody of an Australian accent). I am not sure about the Norse accent, but I get the impression that he has opted for substantially his own tone for Harry (which is sensible, I think). I thought he and Jo (pronounced "You" according to his webpage) Nesbo captured Harry's alcoholism very well. The back story for this was well developed, too. Overall, I think it is a well above average crime thriller. Larsson, it's not, but it is engaging enough for me to change plans from the book I intended to listen to next and say, "On to Book 3, then!" Would you consider the audio edition of The Bat to be better than the print version? An excellent narrorator does a wonderful job of giving voice to Harry as well as the Austrailian characters. Our first introduction to Harry and as is typical of Nesbo's writing we are thrown right in. An excellent book that gave more background to Harry than any other of the series. Highly recommend!! 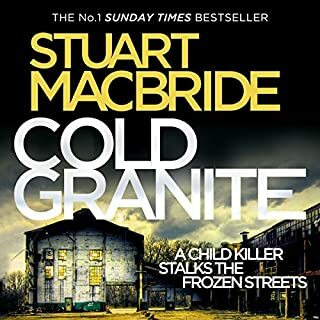 I was gripped by Nesbo's "The Snowman" from start to finish, but I had difficulty getting through this book (finished after many starts/stops.) I appreciated getting acquainted with Harry's background, but I felt like this was the required prerequisite before getting to the interesting book. I intend to read other Nesbo books, though, as perhaps the Australian setting wasn't a good fit for a Harry Hole mystery. Sean Barrett did a great job with narration. A great introduction to Harry Hole. Being a massive Jo Nesbo fan, I have been waiting eagerly for the first book in the Harry Hole series to be translated into English. Having loved everyNesbo novel so far, I approached The Bat with high expectations. I am pleased to say that I was not disappointed. Not yet the fully formed character, many of Harry Hole's skills and flawes ar soon on show. The reader is able to see how the author developed Harry into the more mature complex person that he becomes in later books. Strangely the first book in the series is set out of Harry's native Norway. A young Norwegian woman is Murdered in Sydney and Harry travels to Australia to liase witth the local police. All the usual Nesbo plot complexities are soon on show. The story builds up to a great ending, a typical trait of all Nesbo's thrillers. Had I read this book before any of his later novels, I would have immediately looked for the rest of the series. Just one more book to be translated, Cockroaches I believe is to be published in the English language sometime in2013. It does not really matter which order you read The Harry Holes books, Just read them!. Fills in some background to explain Harry Hole's character. Having come to this after reading most of the subsequent Harry Hole books (I'm saving the Phantom for a special occasion), I was prepared to be disappointed. However, I wasn't, apart from the book being significantly shorter than some of the later ones. I loved all the dreamtime stories and as usual, Sean Barrett narrates it flawlessly. 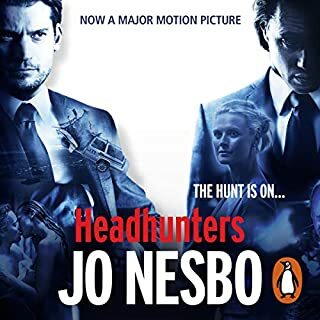 Having read all the other Jo Nesbo books featuring Harry Hole, I expected to be disappointed as this one had not been printed in the UK previously and I was worried this was an inferior piece of work. However, Jo Nesbo, once again reminded me of how good an author he really is, as this is another excellent detailed novel full of careful plotting and tension. I loved it. Sean Barrett narrates superbly. 9 out 10 for me. An excellent start to the Harry Hole series. I only wish this book had been available first. Early Harry - Just as good! I'd read or listened to all the other Harry Hole books and thoroughly enjoyed them all. 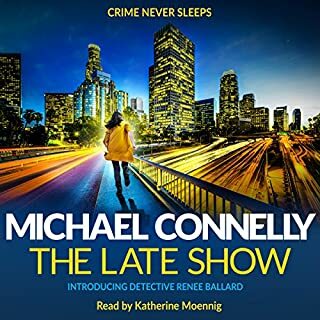 This one was the first in the series but for some strange reason has only just been released as an audiobook? It delves into more personal details about Harry’s past than do the subsequent books and goes some way to explaining this complex character. Verdict: It's another winner - Recommended! Should be in HOLLYWOOD very soon. A different side of Sydney! 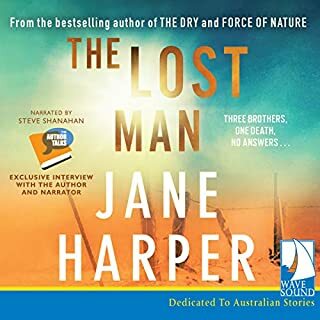 It was like listening to a ghoulish travelogue... After being their a couple of years ago I could see the frantic rushing of Harry and his Aussie police gang rushing around Sydney after the mass murderer. I now know a few places to avoid! 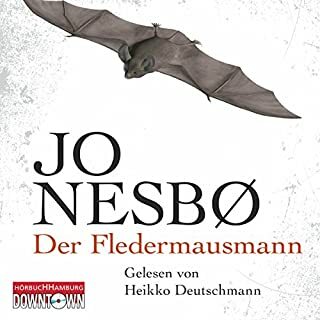 This is first in the Harry Hole series of books However due to translation to English I have read more recent versions before. It is refreshing to get back to basics with Harry thought and I really enjoyed it. Harry is Harry wherever he turns up and it is nice to see where he started. Books are stand alone wonderful in my opinion. 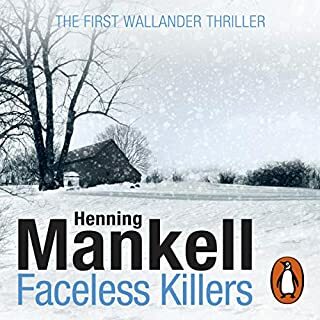 I could compare Jo Nesbo to other authors like Camilla Lackberg, Henning Mankell who are similiarly set and use really clear imagery to describe the characters and scenes in my opinion. 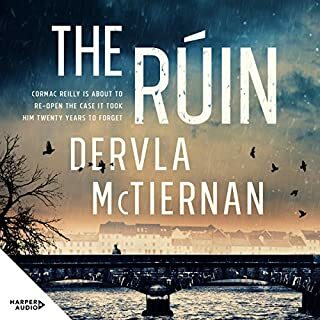 I have listened to many books with Sean Barrett as the reader and he is excellent in every way in my opinion bringing the story to life and really giving it meaning. I felt an emotional attachment to the book as I do with all Harry stories and was interested in the characters and how they developed. This story, as well as other Jo Nesbo`s books about Harry Hole, will become your obsession. Firstly the figure of the detective is so much realistic. He will become very close to you. I do not like smokers but Harry Hole is an exception, I am very critical to alcoholics but his dedication to Jim Beam is ok for me. It is the way how Jo Nesbo is able to provide the story and OF COURSE the incredibly good interpretation of Sean Barrett. Voice in my head that makes me listening and listening. Need more dysfunctional and tortured detectives? 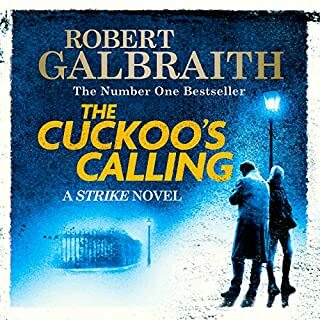 Harry is a great character that you warm to instantly, The story set with him out of his comfort zone adds to the torment for the lead, but he works his way through and grows more powerful as the story twists and turns.